"A Transient from the other world Kitezh, glasses and a straw hat are his most prominent features. He has an easygoing and generous spirit, and has a rustic air about him that is soothing to anyone around him. His Rule is used to provide the blessings of the Earth to all, but that has given rise to a certain incident. The pumpkins he has taken great care in growing for Halloween have overgrown and started overflowing from the fields, and the entire school has become overrun with them. He has a strong dislike of fire due to past trauma. He can become extremely hostile towards those who ruin the earth, foiling the growth of crops." A laid back and placid Summon from the Kitezh Gate with a gentle aura of naivete that appeases people around him. His trademarks are his glasses and his straw hat. His [Rule] would be to bestow his blessing on earth, but this time around, he is the cause of unexpected trouble. The spirit-infused pumpkins he grew for Halloween became too lively and poured out from the fields one after another. They ended up breaking free on the school campus. Because of a past trauma, he hates fire. He holds antipathy towards those who especially disrespect the earth and won't partake of crops. He, who wields the power of earth, is also the guardian who appeases subterranean spirits to ensure their peaceful sleep. 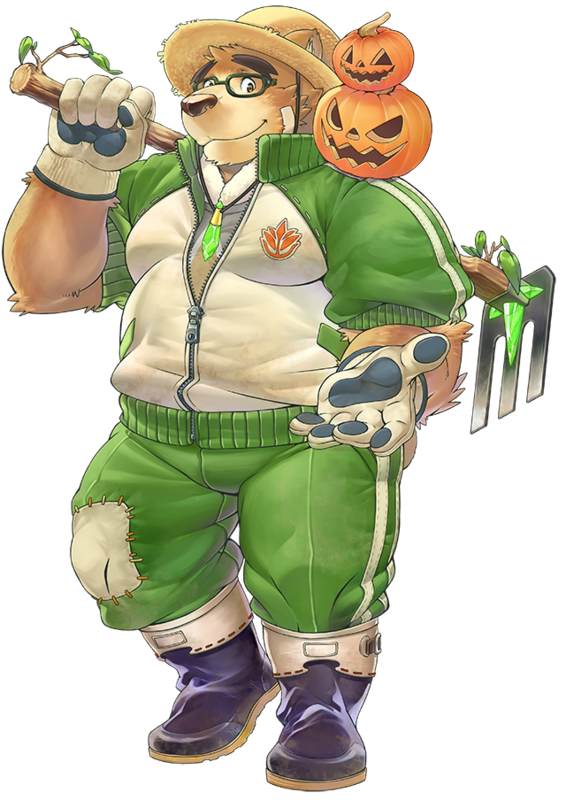 "Back in his home world, the spiritual festival of Halloween is completely ignored but he has positive feelings toward the occasion since it is supposedly an occasion during which one might be able to meet someone lost in the past. He has the power to control the earth and also serves as one of the guardians who can quell wandering spirits so that they can rest in the ground. He inherited this important Role from a friend with a similar name. That friend had been struck by lightning sent by the lord of the heavens in their home world but it has been so long since that even his memory of that event is growing hazy. His friend was overjoyed at the crops that he grew, so he continues to till the land for farming even in the present day. He empathizes with people who dislike lightning, since lightning and bad weather are bad for crops." Hi, my name is Volos. I want to be unbeaten in my passion for vegetables gardening. Say, wanna grow pumpkins with me? It’s time for me… to show you the results of my research! I won’t let you mistreat my pumpkins! Field of Vegetables’ Blessings, Baroda Volsatiya! Well done. I need to report my experiment results. I wonder what he means by "I gave them too much love"
Volos is the only Transient to possess a JO Crystal. Wonders release when it's fully charged.